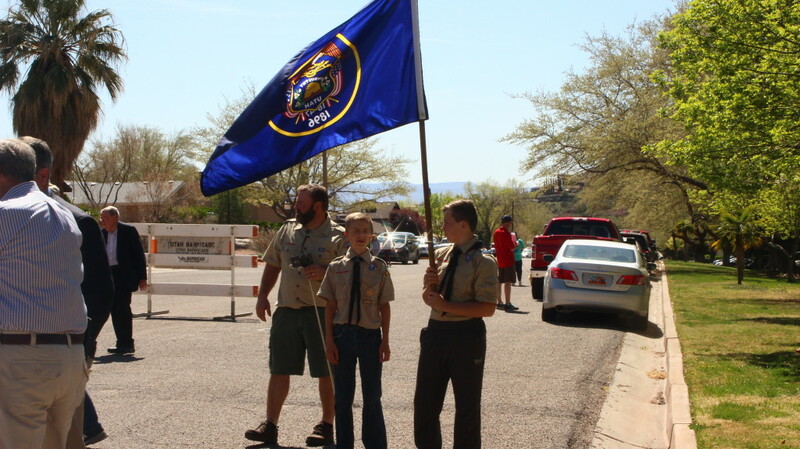 ST. GEORGE — City leaders, members of the Boy Scouts and Sons of Utah Pioneers gathered at the end of North 700 West Saturday to dedicate the newest addition to the St. George trail system: the Pathway to the Quarry. 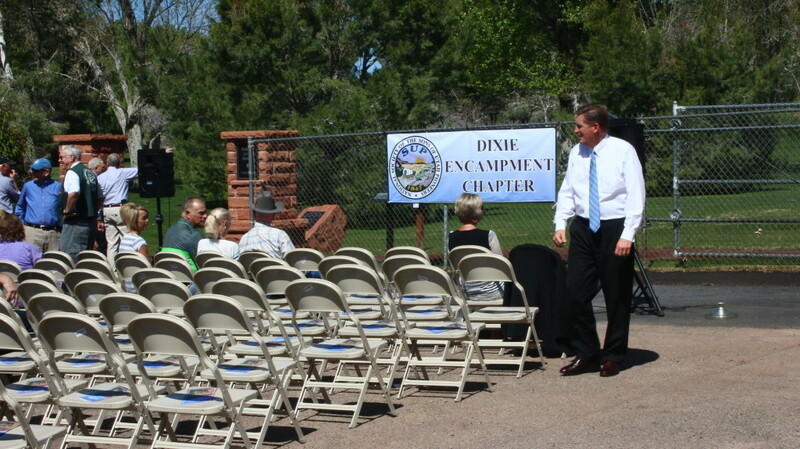 The trail was built as a cooperative effort of the Dixie Encampment Chapter of the Sons of Utah Pioneers, the City of St. George and local businesses along with local Eagle Scouts from Boy Scout Troop 383. 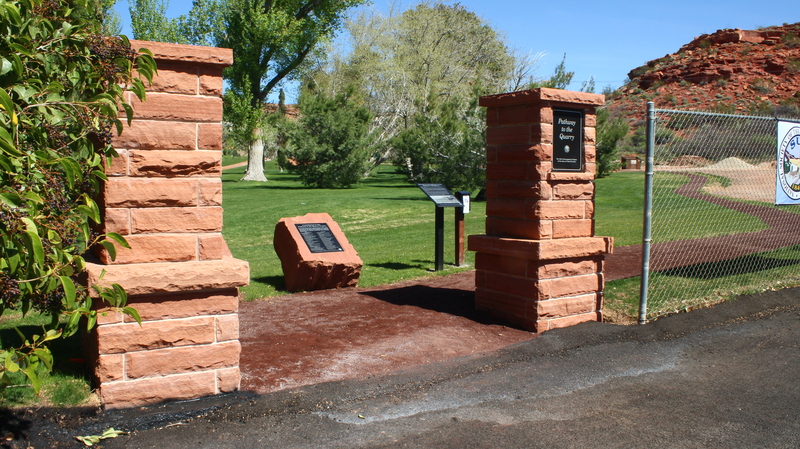 They constructed the two-pillared entry, numerous informative plaques, a stone monument and the trail itself. 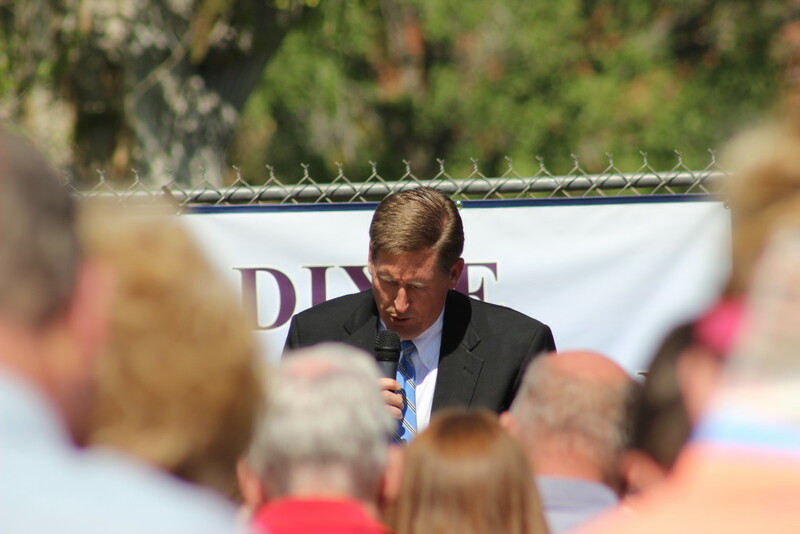 The ceremony began with emcee Dr. R. Wayne Pace, who spoke about the quarry and its historical significance. 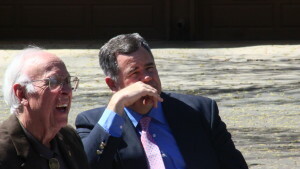 He then turned the microphone over to St. George Mayor Jon Pike, who praised Pace for his efforts to see the trail project completed. 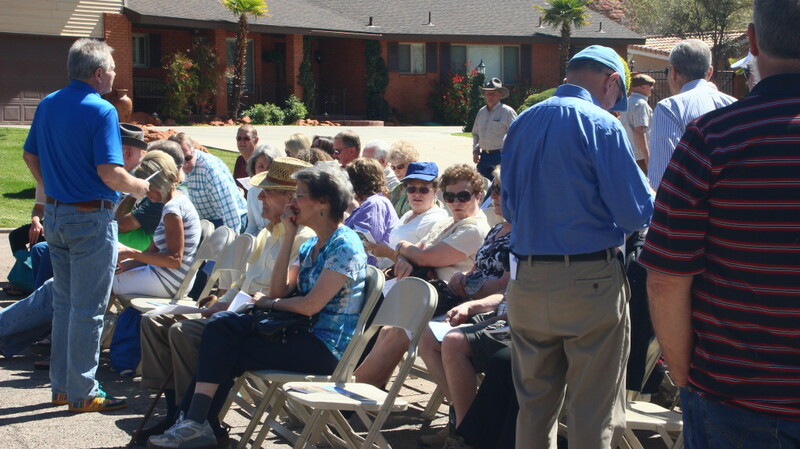 Pike spoke about the early pioneers whose struggles were instrumental in creating the City of St. George. 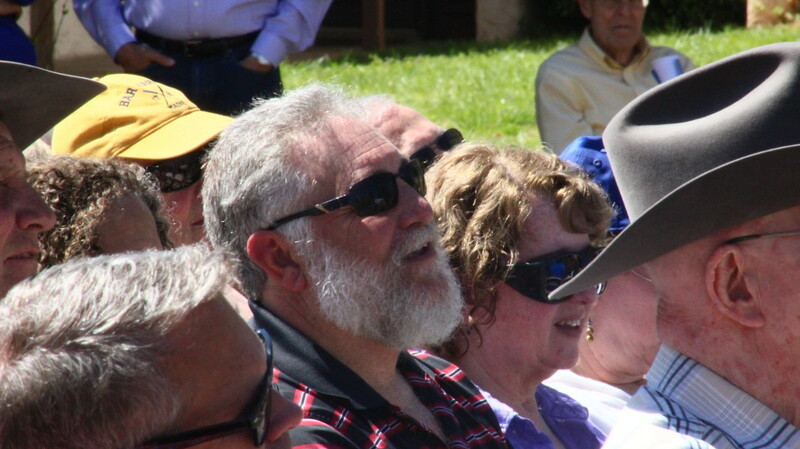 Thomas Alexander, former president of the National Society of the Sons of Utah Pioneers, also gave a few words. Richard Kohler, president of the Washington County Historical Society, presented a detailed history of the quarry and its importance. Finally, with a dedication prayer given by Hal G. Anderson, the Pathway to the Quarry was officially open for hiking. After the dedication ceremony, Pike said he is pleased to have a historical site open to the public. Alexander said the trail was a proud moment for the Sons of Utah Pioneers. Pace said the project has been in the planning stages for approximately four years, with official approval being granted December 2015. 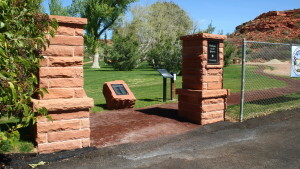 By mid-January the pillars, monument and plaques were all in place, and all that was left was the construction of the trail itself. To visit the Pathway to the Quarry trail, drive to the north end of North 700 West (which connects to the north end of Diagonal Street). Where the street reaches a dead end, look for a pair of sandstone pillars that mark the entrance to the trail. The path is roughly 3/10 of a mile in length and gains approximately 100 feet of elevation. 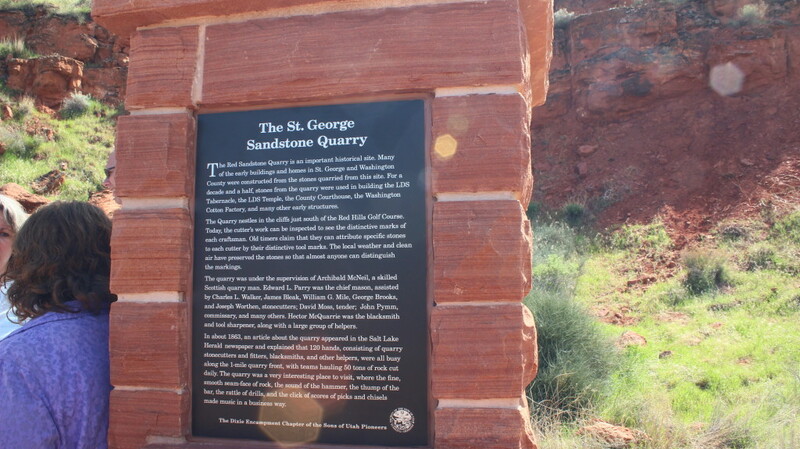 There are informational plaques at the beginning and the end of the trail, and a sandstone monument marking the location of historic quarry. Click on photo to enlarge, use left-right arrow keys to cycle through the gallery.